We also have indoor pet containment systems if you want to keep your pet off the kitchen counter, out of the trash, away from a piece of furniture (or a whole room) or to keep him from running out an open door. Unique features and benefits not available in other brands. 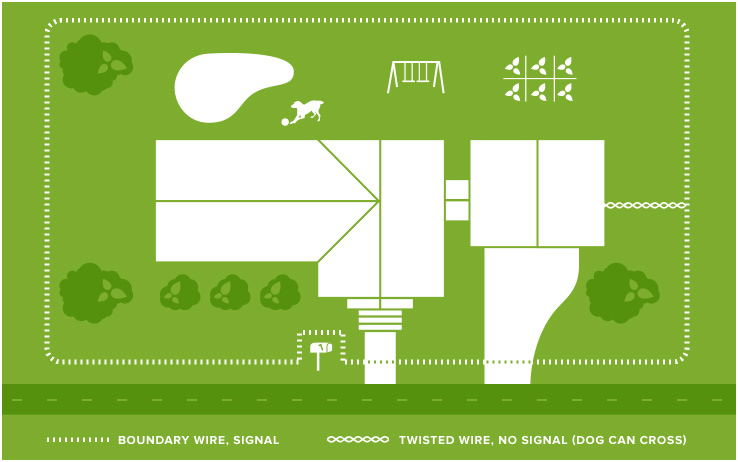 The transmitter controls the radio signal in the buried wires and is user-friendly and user-adjustable. You won’t find anything quite like it in other brands. 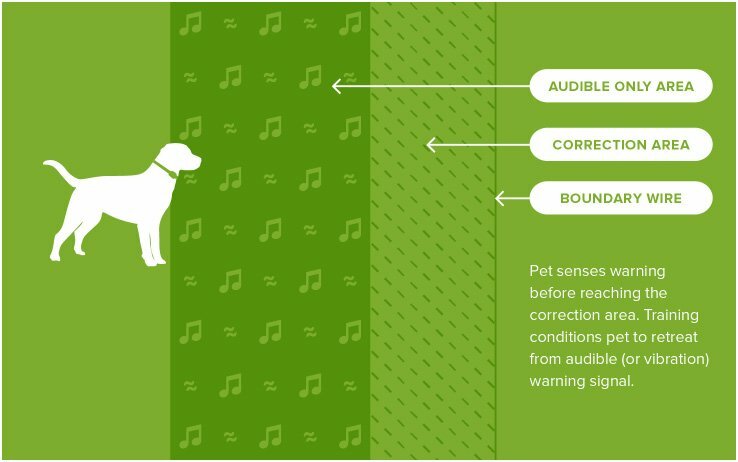 The combination of settings on the transmitter and receiver offer up to twenty different correction levels to ensure safe and appropriate training for your pet. 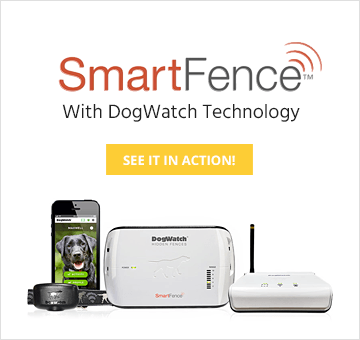 You can also set your system to “audible only” to introduce your dog gently to the training and his boundaries. 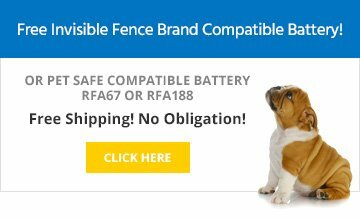 The display allows you to set the signal field width to best meet the needs of your pet(s): a broad outdoor dog fence field for a larger animal or a smaller range cat fence for your favorite feline. It also alerts you to a break in the boundary wire. This is an invaluable safety feature for underground fences and fences that are invisible to the eye. Our optional PowerPak keeps your pet fence system working temporarily should you lose electric power. 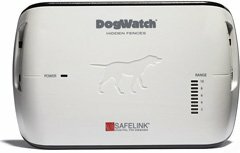 After training, most dogs will stay within the electronic boundary even when the system is not on, but with a PowerPak you have added protection to ensure your pets safety when the power goes out.